The UK's number one operator for China and beyond. We offer superb private journeys and tailor-made holidays to the world's most fascinating destinations! For all you bargain hunters and savers out there a trip to China can seem like quite the expense. Here are 5 free things you can do in China. 1. Although most of the major sights in China charge very small admission fees ranging from 20p to a few pounds for entry, you will find that some of China’s most famous sights are free of charge. In Beijing, for example, you can stroll on down to the famous Tian’anmen square. 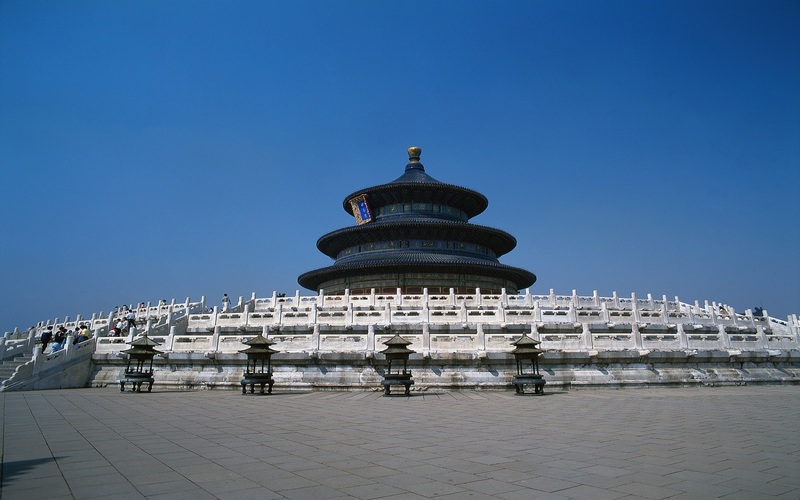 Tian'anmen Square, the centre of Beijing city, is one of the must-visit places in Beijing. It is the world's largest public square, with many world-famous attractions nearby. See the Gate of Heavenly Peace where Mao Zedong founded the People's Republic of China in 1949, and the Monument to the People's Heroes in the centre of the square. You can pay your respect to Chairman Mao in the large memorial hall. 2. If you should find yourself in Shanghai and are looking to see something completely out of the ordinary why not visit the now infamous Thames town? Easily accessed on Shanghai metro line 9 this surreal, weird and wonderfully camp Chinese invasion replicon of an English market town will have you humming and awing for all the right and wrong reasons. If you have an extra day in Shanghai and are low on cash a day trip here could be just for you. 3. For the museum lovers out there a free trip to the Shaanxi province museum can’t be missed. Located in the ancient city of Xi’an, the museum is filled with countless artifacts from the golden age of the Tang dynasty when the area was home to the imperial capital of Chang’an. 4. For those visiting Chengdu and interested in getting some lovely, free photos to commemorate their trip a trip to Luodai Ancient Town is not to be missed. The village is one of the best is the representations of the Hakka community in Sichuan. 90% of the residents there are Hakka people. They speak Hakka and keep their traditional customs. 5. Guilin doesn't much care for the glitz and glamor of some other Chinese cities. There are patches of neon and several city centre buildings that top five stories, but on the whole it's a relaxing city reliant upon its charm more than its boastfulness in seducing the visitor. This charm is nowhere better felt than in Guilin's many back streets, undeveloped, homely, occasionally ancient and often unexpected in the delights they have to offer. A free stroll around Guilin’s alleyways can be the perfect escape from the fast passed crowded cities present in the rest of China. For more information please contact us for a FREE advice. Alternatively, check out our incredible, hand-picked tours to China.